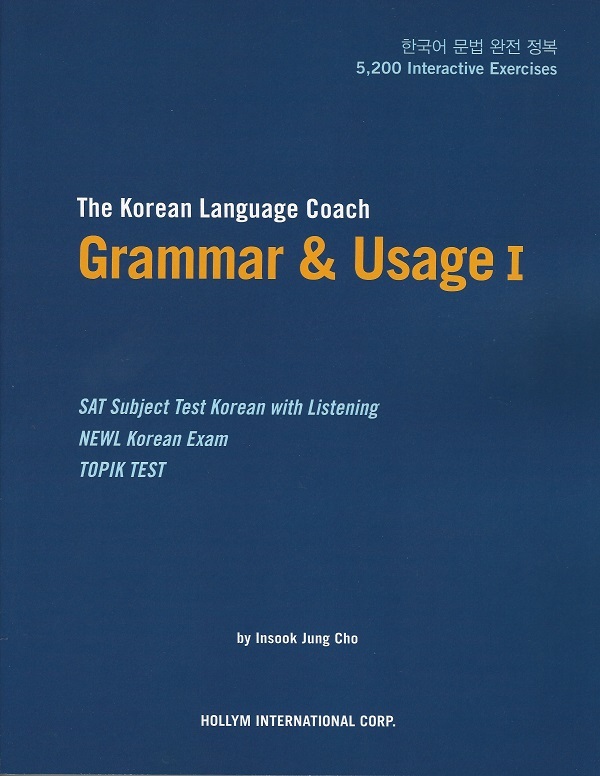 Korean Language Coach Grammar & Usage I - Hollym International Corp.
Korean Language Coach Grammar & Usage I is an advanced test prep study guide designed to prepare students for the SAT Subject Test in Korean, the NEWL (National Examinations in World Languages) Korean Exam, and the TOPIK II (Test of Proficiency in Korean). Decades of research, testing and fine tuning have gone into the development of this two volume set. 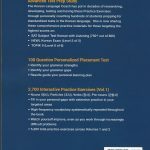 The guide begins with a 100 question personalized placement test which helps students identify their grammar strengths and weaknesses. 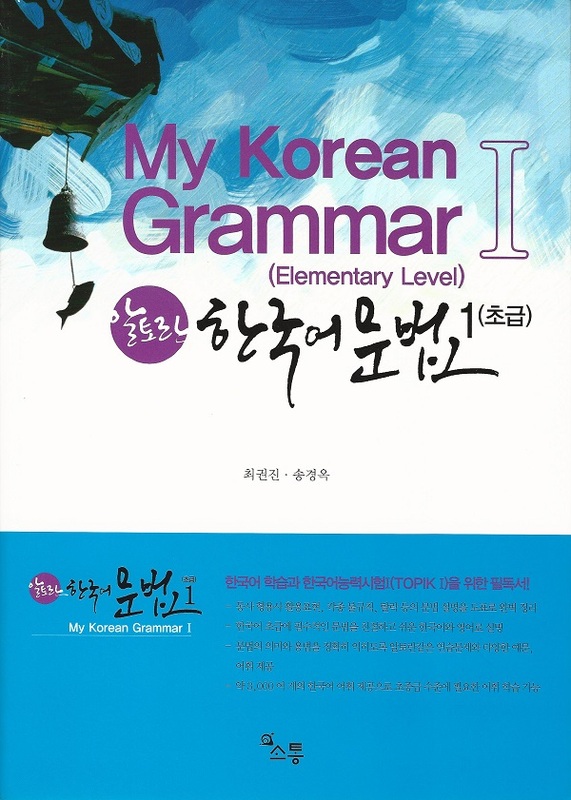 Volume I covers Nouns, Particles, Verbs and Pre-Nouns. 2,700 interactive practice exercises fill in personal gaps with extensive practice in targeted areas while high-frequency vocabulary are systematically repeated throughout the book. Volume II covers Adjectives, Adverbs, Conjunctions, Syntaxes, Polite Form, Proverbs and Idiomatic Phrases and provides 2,500 Interactive Practice Exercises. 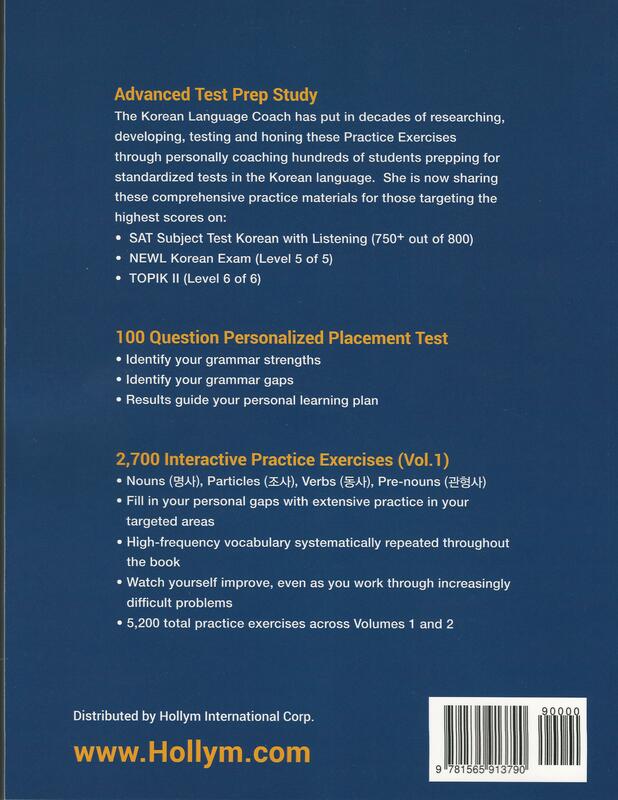 This advanced study guide is based on years of coaching students and successfully helping them achieve the highest scores on the SAT Korean Subject Test, NEWL Korean Exam and the TOPIK II. Insook Jung Cho is the ultimate Korean Language Coach. She has over 30 years of experience teaching Korean language and culture to students of all ages and skill levels. 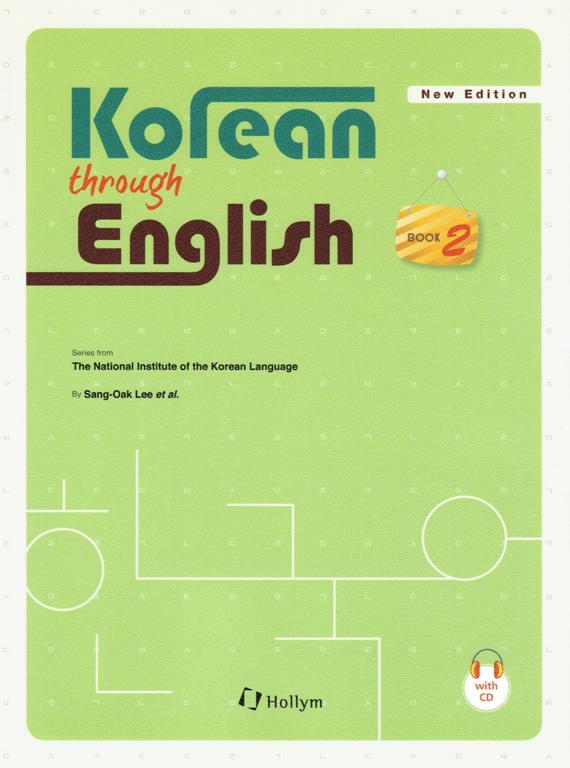 Starting with children and youth (grades K-12) with the Korean Language Institute of Southern California, she co-wrote the entire textbook & workbook series It’s Fun to Learn Korean (K-9) while serving as instructor (1980-1988) and later as principal (1988-1995). 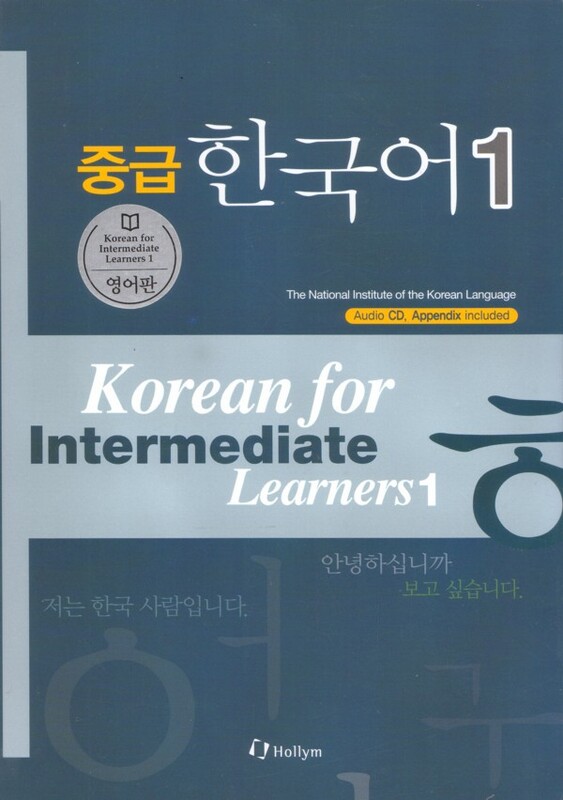 She began teaching adults at Glendale Community College in 1997, where she turned her beginning Korean teaching materials into the practical and informative Real Life Korean I Textbook and Workbook (1999). After earning her M.A. in Korean Education, she began teaching an on-line SAT 2 Korean course through the International Institute of California (IIC) in 2003. 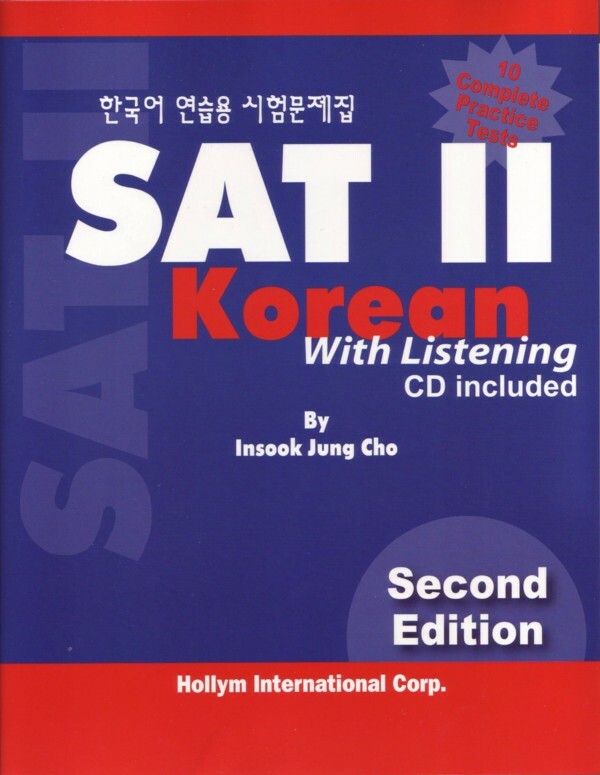 The materials she developed for this course were later published as the popular test prep book SAT II Korean with Listening (Second Edition, 2006). 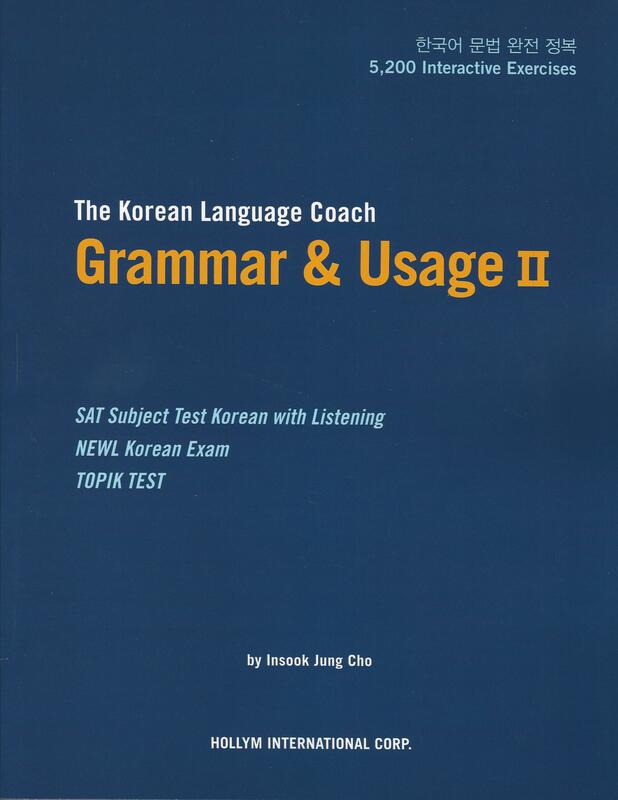 Still the only book of its kind (for Korean study), the book consists of ten complete practice tests following the prescribed format of what is now called the SAT Subject Test: Korean with Listening. She has never stopped coaching students for SAT Korean and TOPIK test prep, and also tutors professionals with Korean language needs at work. Her signature style is highly customized instruction combined with high expectations on the student to employ good study habits and self-discipline. 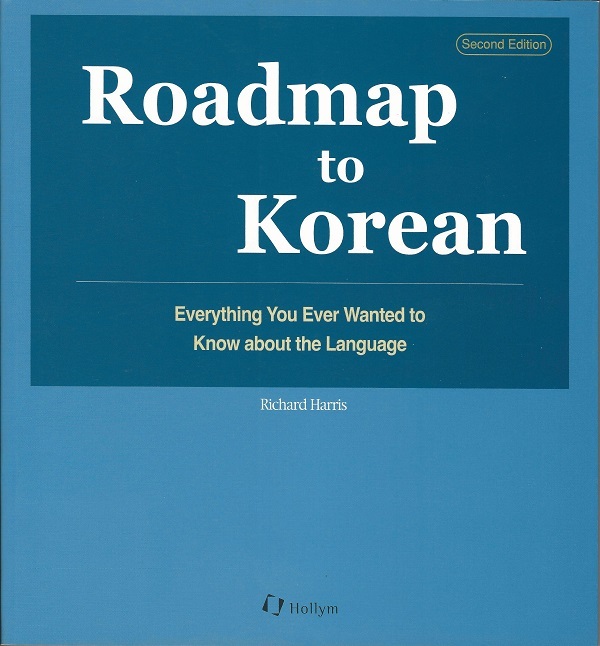 She continues to hone the teaching resources she has been developing for decades and plans to continue publishing high-caliber Korean Language resources. Softcover 8.5 x 11 in.